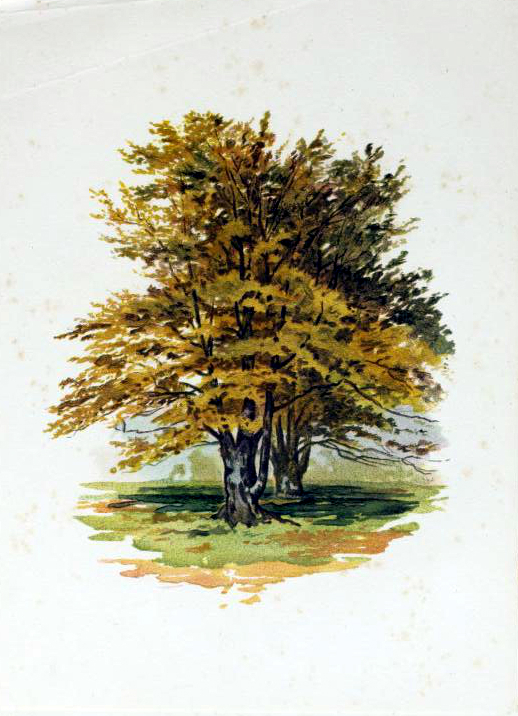 Enjoy this gorgeous illustration of a golden yellow tree in fall. From a 19th-century book of watercolors published 1895. Free to use.